Dump-queen Ri-Ri was surely thinking about her lovelorn past when she sang “Love the Way You Lie”. OK, so which of her dumpers gave her the inspiration to pen the song–Ashton Kutcher, Rashard Lewis or Shia LaBeouf–who reportedly asked her out through a text message. We wonder–did he text her to say sayonara as well? Seriously, if there is an all-knowing, all-seeing being watching over love shenanigans between celebrities, then we can be sure Rihanna is not boring this omniscient entity with her lickety-split, love-her-and-dump-her kind of relationships. And WHAT in the world was Rihanna thinking when she recently used a clip of dippy Jenelle Evans from “Teen Mom 2” to advertise her Monster Tour? 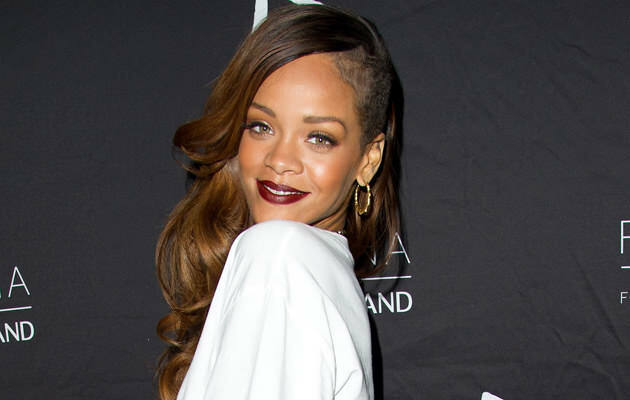 We hope this faux-faux-faux pas of Rihanna’s was the dumb idea of her publicists and did not come from her brain. If it did, they’ll surely be more dumping stories about Rihanna in the near future. Sigh.